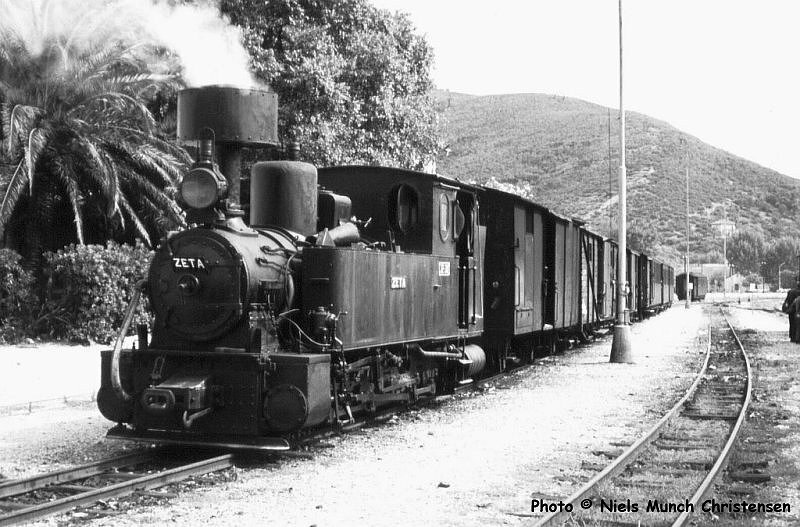 Zelenika was at the end of a long branch line which left the Dubrovnik line at Uskoplje. 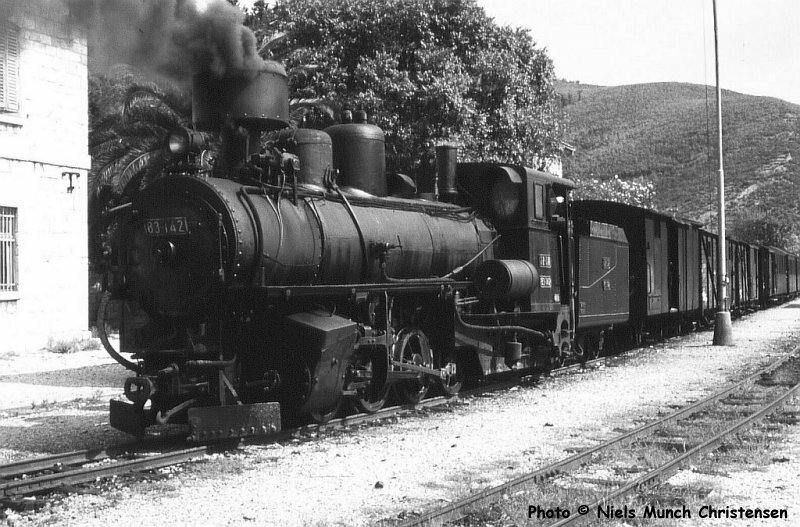 It was 78 Km from there to Zelenika and the main intermediate station was Herceg Novi. The line terminated on the Gulf of Kotor and the last few kilometres were alongside the seashore. 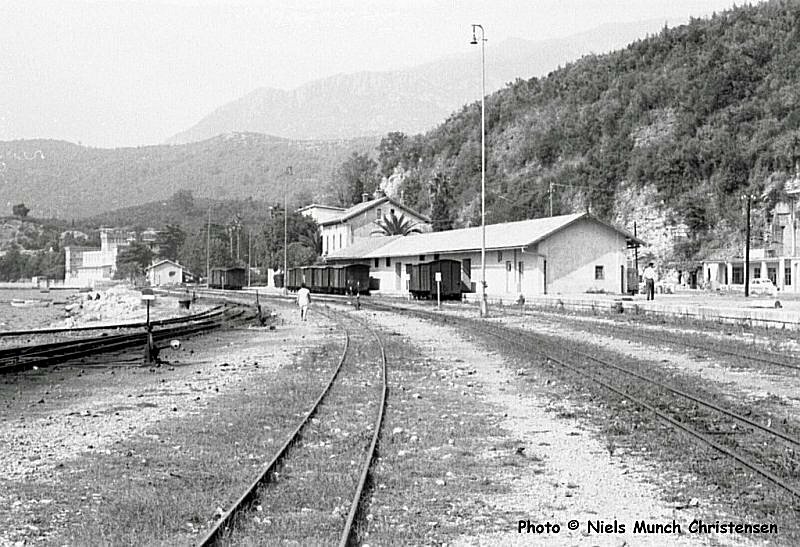 The history of the line is recorded in the book 'Zeljeznica U Boki Kotorskoj' by Josip Weber, Hercegnovi 2009 (ISBN 978-9940-9250-0-0). 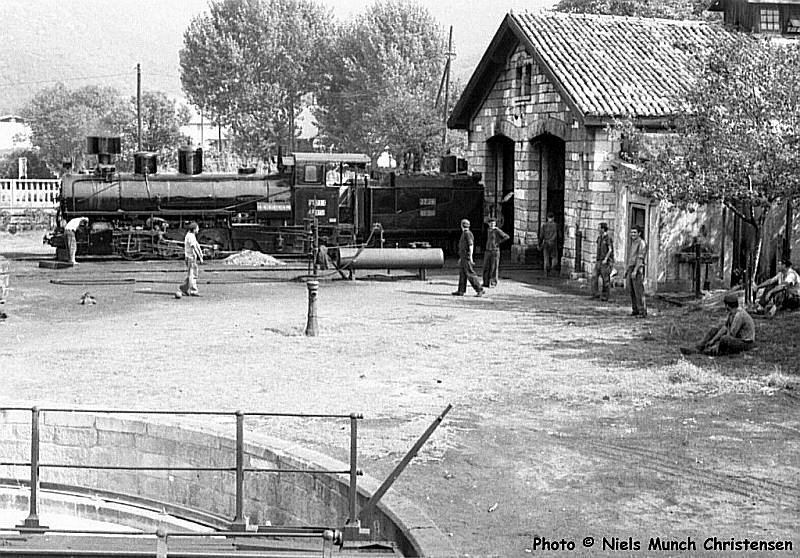 Neils visited Zelenika in September 1966 and these photos are a record of what he saw. The section from Uskoplje to Zelenika closed to all traffic in 1968. 83-142 gets ready to leave with a freight to Hum. 83-145 is receiving attention on the shed. 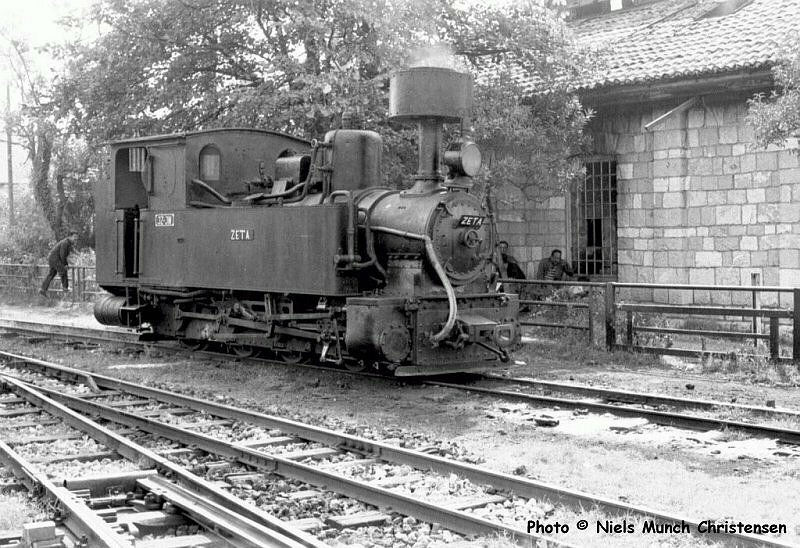 A class 189 Klose-articulated inside-cylindered 0-6-2T No. 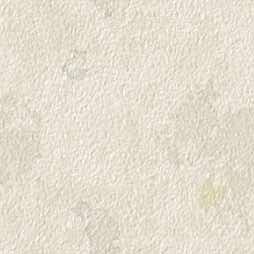 189-032. A general view of the station area. The seashore can be seen on the left. 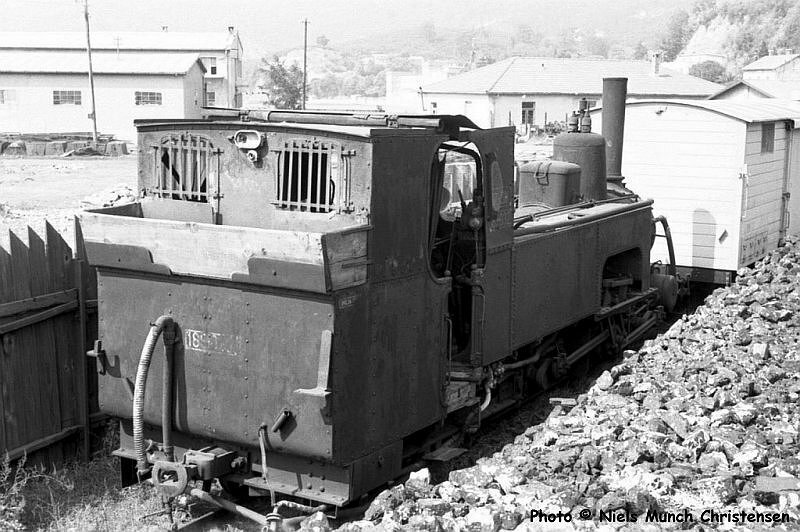 This is 'ZETA' the shunting loco at Zelenika. 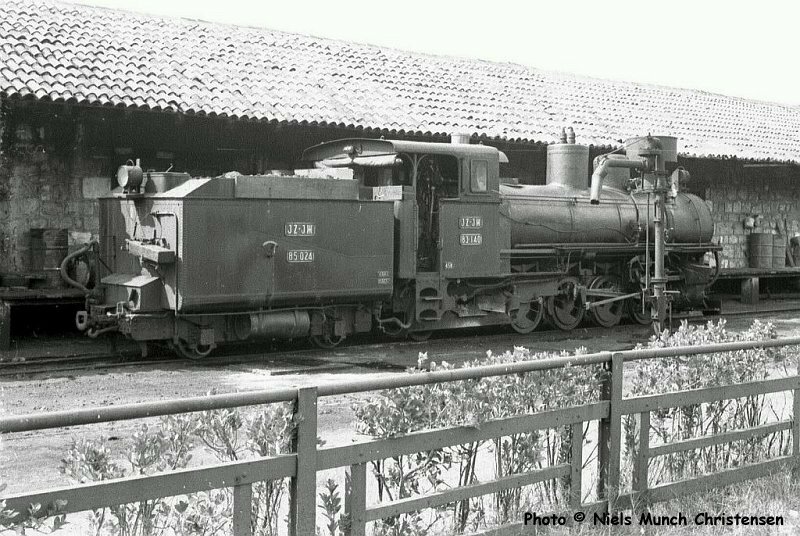 Built by O & K 2556/06, this loco formerly worked on the Bar - Virpazar line. 'ZETA' is seen earning her keep by doing a bit of shunting.